KUALA LUMPUR, Malaysia, January 11, 2019 – The Chief Executive Officer of Malaysian Palm Oil Council, Dr. Kalyana Sundram lambasted the World Health Organization (WHO) over a study that he found to be sensationalistic. Dr. Sundram accused the authors from UNICEF and United Kingdom academia of cherry picking their arguments against palm oil to create a sensational story. He was especially outraged by the association of studies on palm oil to those of tobacco. “I find special offense against this association of an essential food product that provides millions of people globally with an affordable vegetable oil to a non-essential narcotic which is tobacco,” he said. He went on to question why the World Health Organization did not live up to its mandate to provide leadership and clarity in the 1980s when palm oil was repeatedly said to be a potential health risk as its consumption soared. Research outcomes on palm oil in health and nutrition science journals have established that palm oil consumption at recommended levels of fat intake is not a risk for heart disease. According to Apical Group Ltd., “Palm oil is one of the seventeen edible oils possessing an FAO/WHO Food Standard under the CODEX Alimentarius Commission Programme.” It is also one of the most viable replacements for trans fats which the World Health Organization wants banned by 2023. 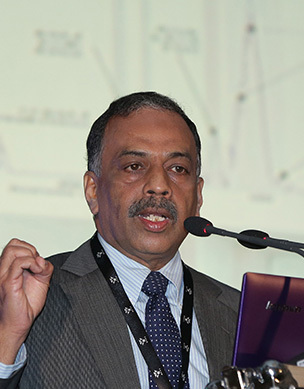 Calling this study a blip in the usual quality of science from the World Health Organization, Dr. Sundram expressed his confidence in the World Health Organization. The MPOC will write a formal Letter of Objection to the World Health Organization to register its disagreements with the study.